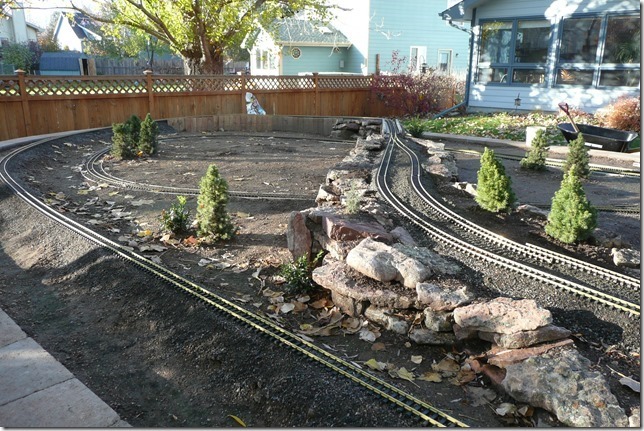 Our railroad represents an imaginary portion of the Denver & Rio Grande Western Railroad (D&RGW) set in the mid 1950s. 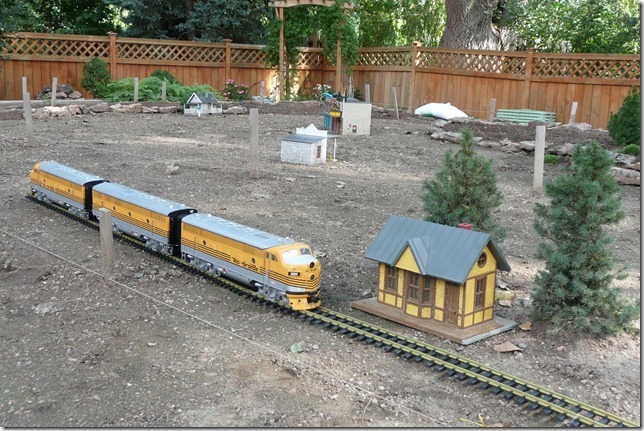 The standard gauge tracks service the small village of Ridgeview, a fictitious town located along Route 66. On this section of the D&RGW, you will find daily streamliner passenger service as well as routine freight service. The layout includes the village of Ridgeview, complete with a town square, a few residences, and a few shops along the highway. Nearby is a farm (owned by the McDonalds). On the nearby rock ridge, you will find climbers out for a challenging climb up the side of the ridge. 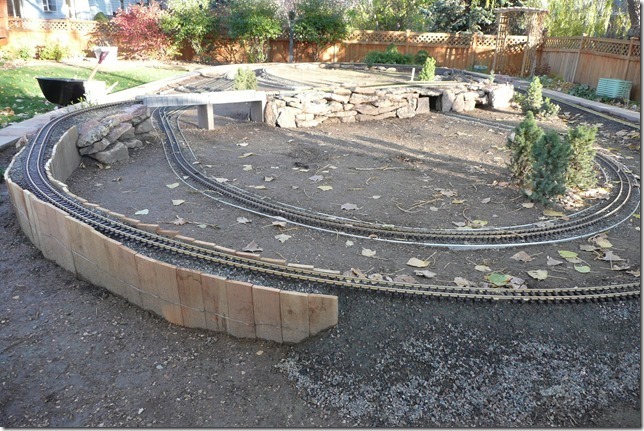 Our railroad was begun in late 2013 with the construction of an approximately 25' by 50' raised garden. Track laying was completed in the fall of 2014, and the town of Ridgeview development began in the early spring of 2015. 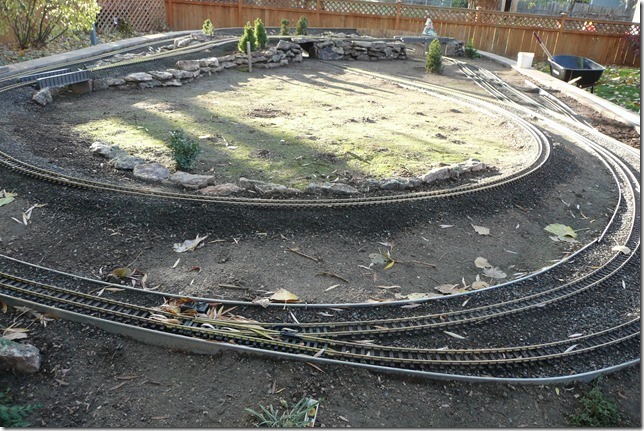 We have approximately 230 feet of track, with two sidings and a spur. No rest room will be available. 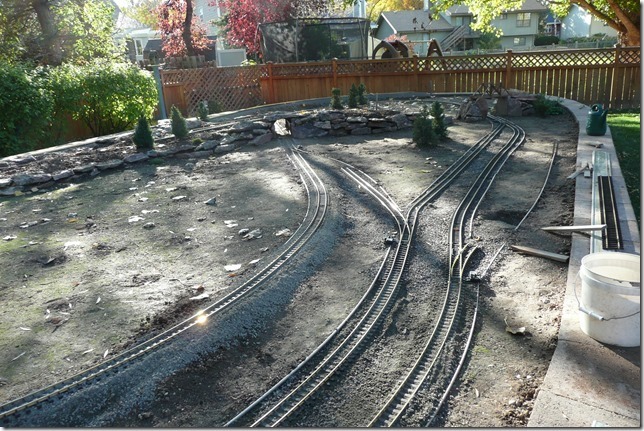 HCA is limited – we have a narrow flagstone path leading to the back with grass surrounding the actual layout. ​​Train number 5, the Desert Star, has finished loading passengers and baggage, and is ready to pull out for its 1:05 pm departure from Ridgeview, New Mexico on a hot summer afternoon. ​Ralph has just visited the local bank, and is ready to head back home. ​The local freight crew has just received orders, and is ready to head east. ​Peter is just finishing waxing Max’s new Cadillac, while the local sheriff is well positioned to catch a speeder on the highway. 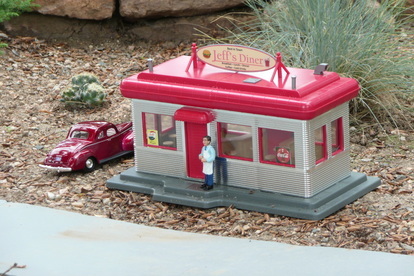 ​Jeff has just finished up the lunch hour rush (only 3 patrons today), and steps outside of his diner for a breath of fresh air. ​The local rock climbers are attacking the cliffs just outside of town. 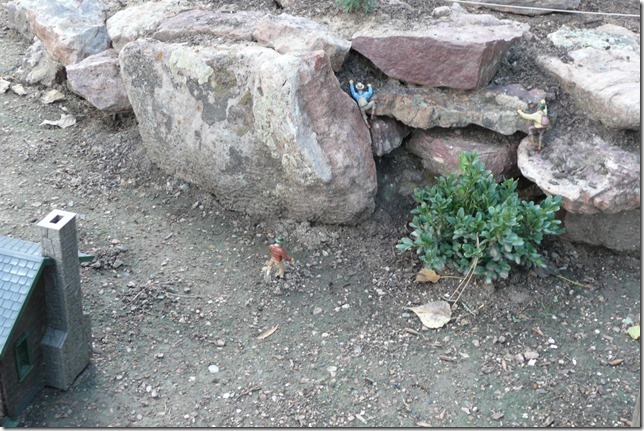 The deer on the hill above isn’t sure what to make of these climbers. ​A nice overview of the McDonald’s farm.